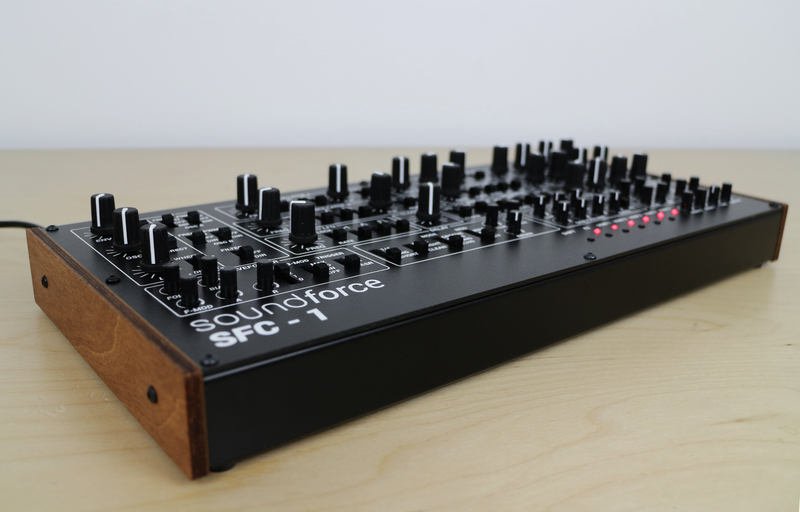 SoundForce presents a new model to its dedicated USB-MIDI controllers product line: the SFC-1, a controller especially designed for the fantastic u-he’s Repro-1 plugin. 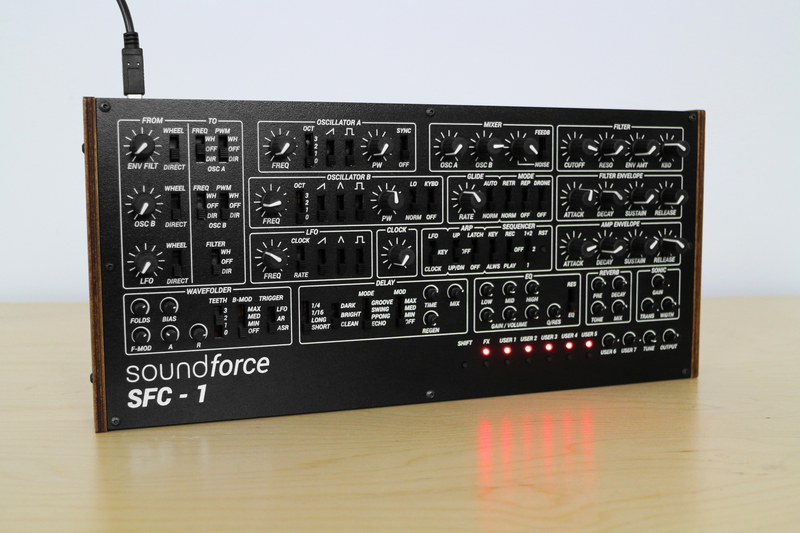 See the SFC-1 product page : here. The controller will start to ship in June. 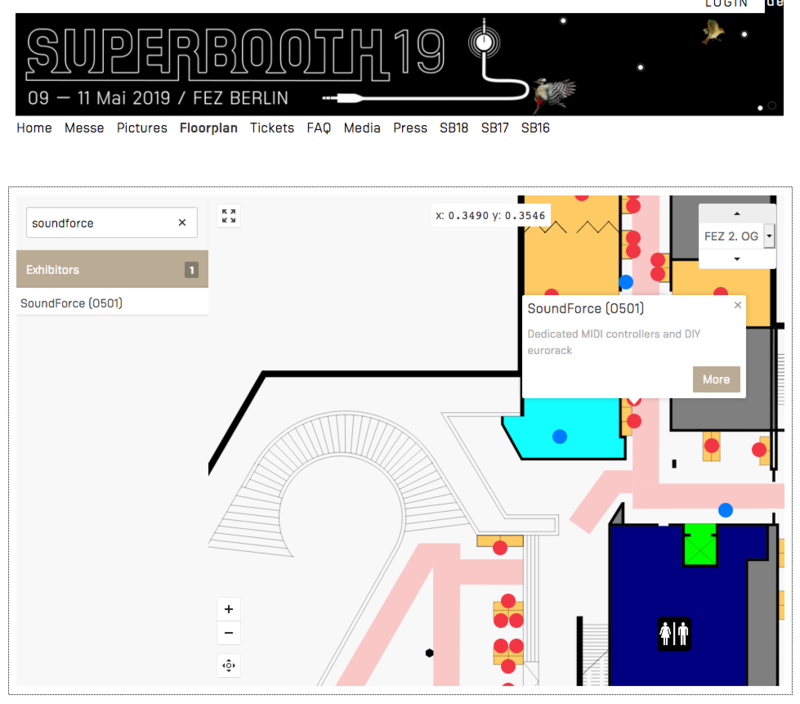 You can come check it out at Prolight+Sound/Musikmesse in Frankfurt (on Thursday and Friday only, in Hall 8 Booth B10 – Audio Maker Square) and Superbooth in Berlin (Booth O501). 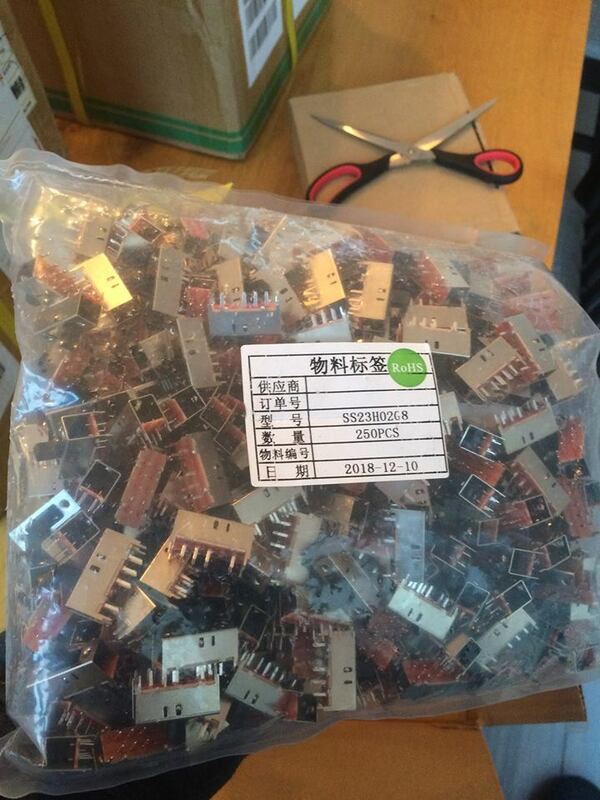 100 pieces will be made in the first batch. The price will be 329 euros including VAT for EU-customers and 271 euros outside the EU. Pre-order now on the webshop. 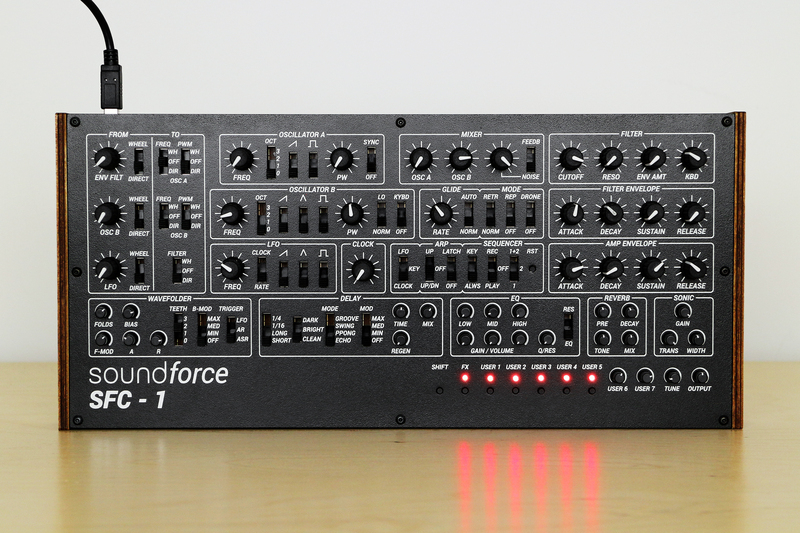 3 other SoundForce MIDI controllers are still currently available : SFC-Mini (for Minimoog plugins), SFC-60 (for the TAL Juno 60 emulation plugin) and SFC-5 (for the P5 plugins). 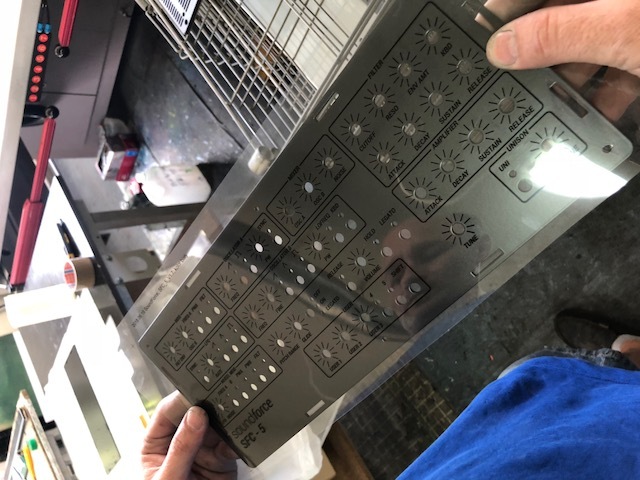 We’re 10 weeks away from Superbooth 2019 and the race to finish up the new products has started. This year will be amazing I am sure, last year was totally worth. If you are considering to go as a visitor, you should totally do it if you can. 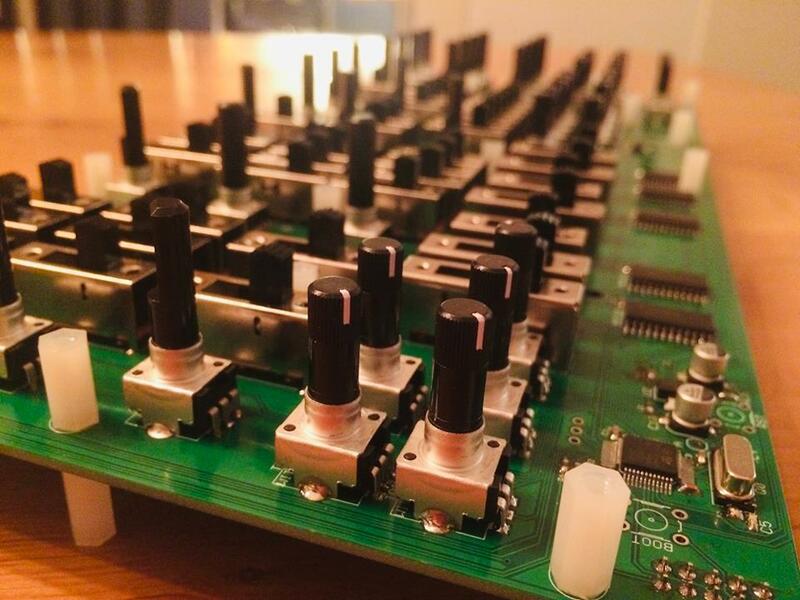 I will be showing the new mystery controller as well as at least 3 new fully-assembled commercial eurorack modules. And I have a really neat new location, at the beginning of the hallway at the top of the big staircase. Update from GRAWART, the prototype enclosure for the new controller is manufactured this week. So far it fits all nicely together. It’s a sheet metal enclosure with aluminum all around. First time doing this, this is an improvement on the previous generations controllers. New controller prototype is working well! The firmware scans through more than 110 controls and the stm32 chip can easily pull it off. Now waiting for the case prototype from my supplier GRAWART. 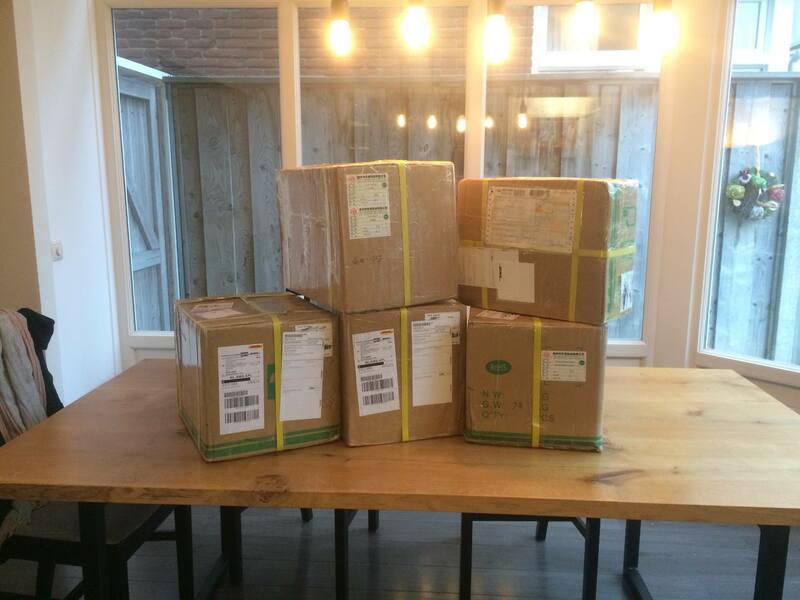 For Christmas I treated myself with 45kg worth of electronic parts. 10.500 pots, switches, etc… Happy days. Coming in new product in 2019. I’ve been working on different new products for a while now and finally made real progress on the next controller. This thing will be a beast with more than 100 controls . The enclosure will be an improvement on the actual line-up of controllers. The 3 controllers are now in stock. My partners did a great job. 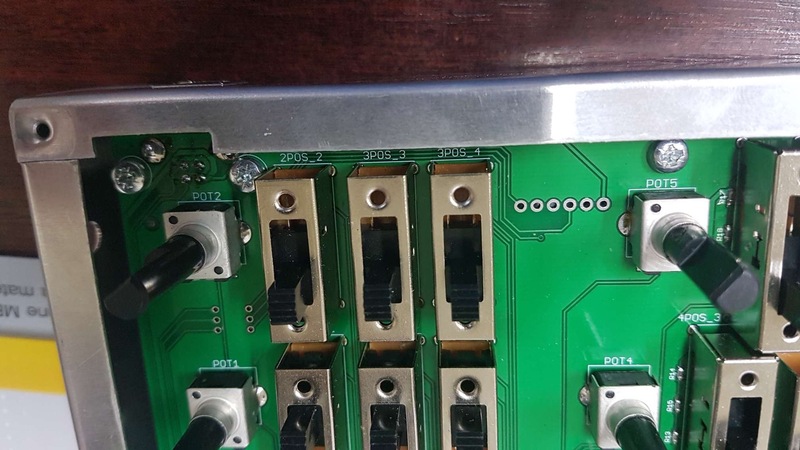 The PCBs are soldered to perfection and the front panels are really gorgeous. Orders are shipping usually within a week. I added the product pages for 2 new cool DIY projects. 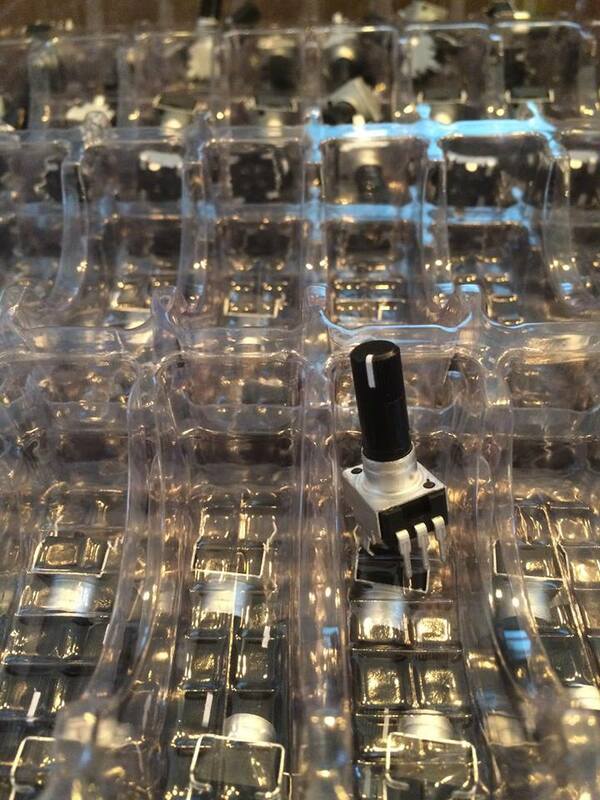 They are digital Eurorack Modules. 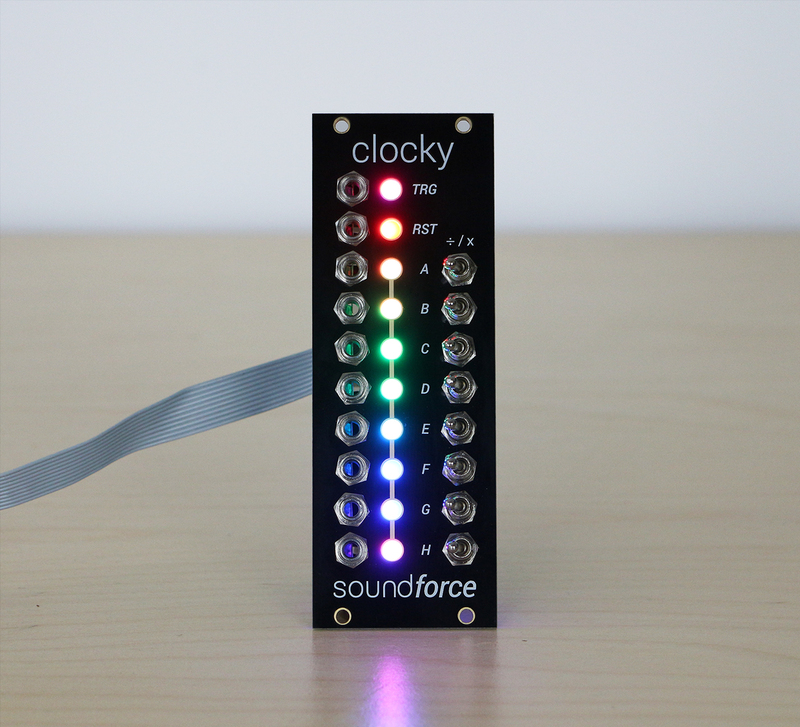 Clocky is an Arduino-nano based clock divider/multipler. 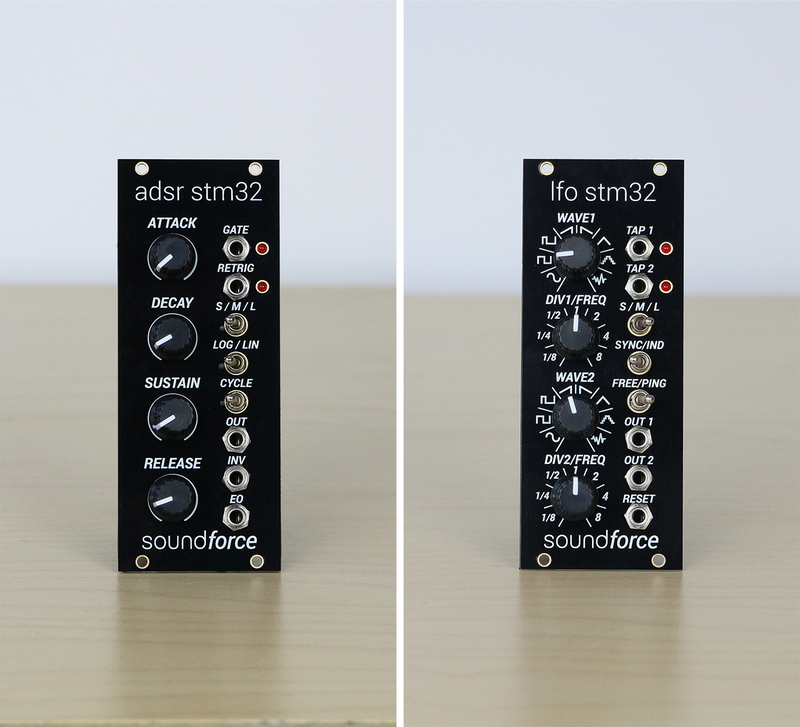 The second module is the STM32DUINO dual trigger to CV, a very powerful little module for modulation purposes with firmwares for dual LFO and ADSR. Both modules have Arduino compatible open-source firmwared that you can hack and change to your linking. It’s all through-hole so easy to build and I am making tutorial videos to explain the hardware and software. Available in the webshop now! 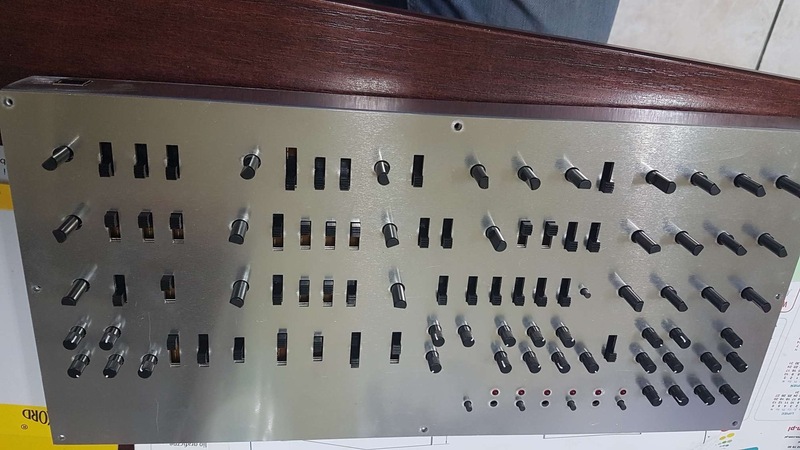 I got updates from the electronics assembly as well as the front and back panel manufacturer. 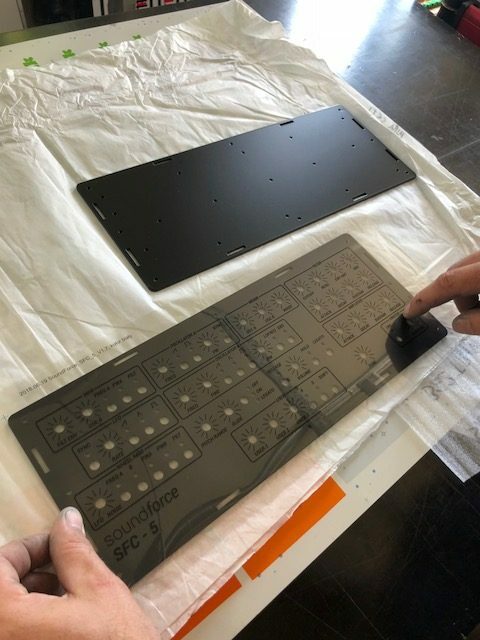 The soldering of the PCBs are starting this week and Grawart (http://grawart.pl/) are working on the first samples of front and back panels for the SFC-5. When the samples are approved they will go on with the whole batch. 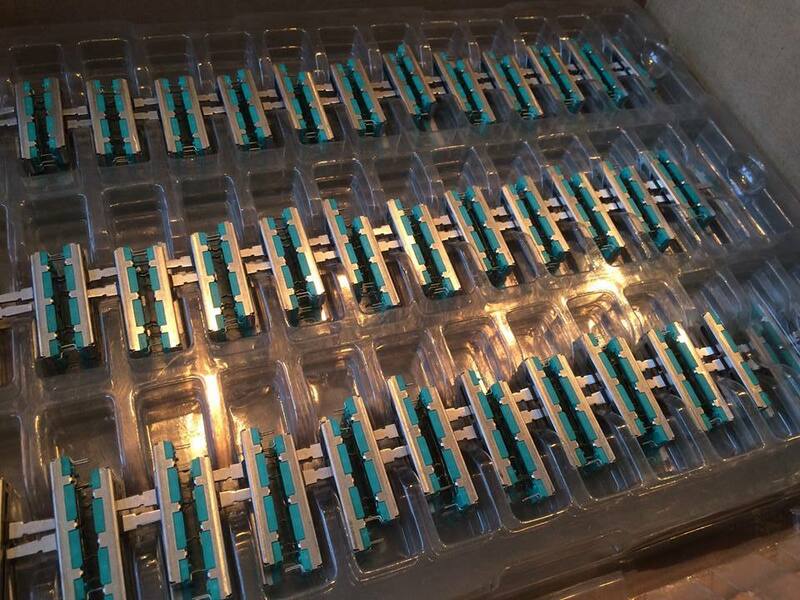 For the SFC-60 and SFC-Mini, I found 3 different companies : one to cut the metal, another powder coating and then a last one to do screen printing. It was cheap but took so much time to pick up stuff and prepare the material for the next step. Also, most powder coating companies are used to do rough and quick jobs, while front panels need a huge amount of patience and care. I have some panels I cannot use from the SFC-60 and Mini because they are not perfect. I am positive that Grawart can deliver perfection based on what I have seen at Superbooth. 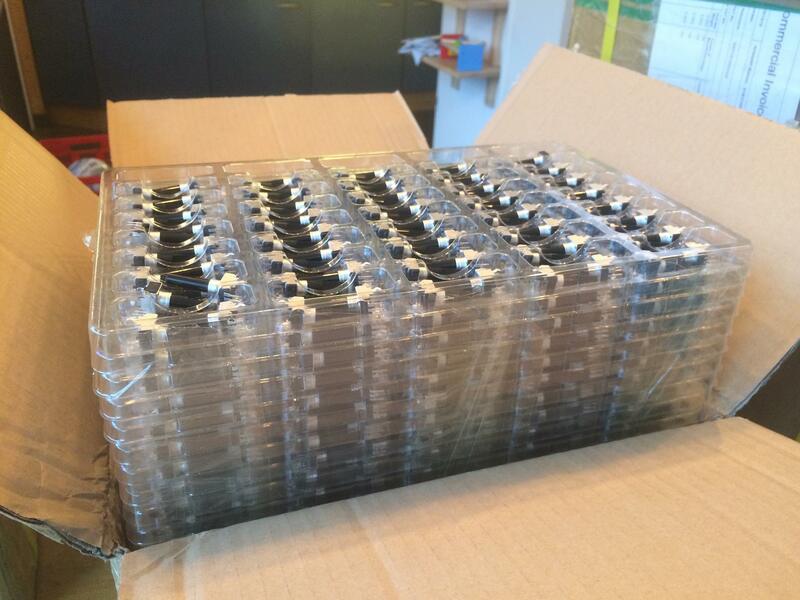 Without any major issues, the controllers should be shipping at the beginning of July.